Enjoy the best of our locally-produced wines and Saddlerock Ranch’s amazing scenery and wildlife on our classic tour, the Explorer Safari. Along the way, you’ll visit the ranch’s most exotic residents. Enjoy the best of our locally-produced wines and Saddlerock Ranch’s amazing scenery and wildlife on our classic tour, the Explorer Safari. Along the way, you’ll visit some the ranch’s most exotic residents. PLEASE NOTE: For groups of 8 or more there is an automatic 15% gratuity included in the per person price. Group bookings larger than 8 are highly recommended to book privately. We cannot guarantee that all guests will be seated on the same truck. We will do our best to accommodate. 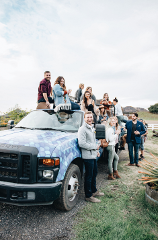 Classic wine tasting meets a wild view on the Explorer Safari, where you’ll enjoy the best of area wines and Saddlerock Ranch’s amazing scenery and wildlife. 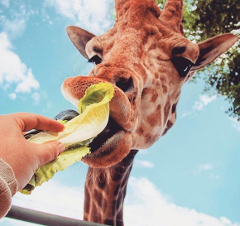 The Explorer Giraffe Safari is a fun-packed afternoon that shows off the best of Saddlerock Ranch’s quirky spirit. Embrace your adventurous side—this tour is not to be missed! Classic wine tasting meets a wild view on the Giraffe Safari Tour! Enjoy the best of our locally-produced wines and Saddlerock Ranch’s amazing scenery and wildlife on our most popular tour. PLEASE NOTE: For groups of 8 or more there is an automatic 15% gratuity included in the per person price. 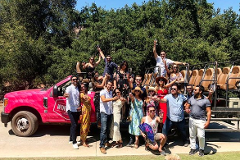 Group bookings larger than 8 are highly recommended to book a private truck. We cannot guarantee that all guests will be seated on the same truck. We will do our best to accommodate. Indulge in a fascinating (and delicious) trip into vineyard culture on the Vintner’s Safari, where you’ll explore the Saddlerock’s most intriguing details while sampling a variety of fine wines and a cheese &amp;amp; charcuterie board. 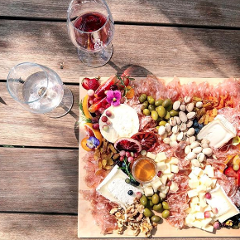 Indulge in a fascinating (and delicious) trip into vineyard culture on the Vintner's Safari, where you'll explore Saddlerock's most intriguing details while enjoying a variety of fine wines and a cheese and charcuterie board. PLEASE NOTE: For groups of 8 or more there is an automatic 15% gratuity included in the price per person. Groups larger than 8 are highly recommended to book a private truck. We cannot guarantee that all guests will be seated on the same truck. We will do our best to accommodate. Malibu's hidden gem! Tour the Vineyards at Saddlerock Ranch, feed exotic animals and enjoy lunch at the Malibu Wines Tasting Room! Enjoy this VIP Wine Safari tour and explore the many sites of Saddlerock Ranch while feeding exotic animals, wine tasting and enjoying lunch. Tour is approximately two hours. Price includes gratuity. Enjoy a completely private truck for up to 20 guests! 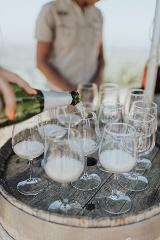 Classic wine tasting meets a wild view on this Private Safari where you’ll enjoy the best of area wines and Saddlerock Ranch’s amazing scenery and wildlife. Customize a Private Tour for that special occasion ~ Birthdays, bachelorette parties, bridal showers, proposals and more! This tour accommodates groups up to 20. The fees are applicable whether you're a group of 2 or 20. A 15% large-group gratuity will be applied at checkout. Meet and feed zebras, llamas, alpacas and more! Personal photographer to capture every moment along the way! Digital photos are emailed 48 hours after the tour. Malibu's hidden gem! Tour the Vineyards at Saddlerock Ranch, feed exotic animals, wine taste and enjoy delicious wood fired pizzas and seasonal salads. 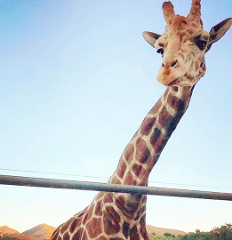 Experience this VIP Wine Safari tour and explore the many sites of Saddlerock Ranch while feeding exotic animals and wine tasting! Enjoy freshly made wood-fired pizzas and seasonal salads served family style. Tour is approximately two hours. Price is inclusive of gratuity. Assortment of pizzas + 2 seasonal salads provided by Two Doughs Pizza Co.
**Gluten Free - Two Doughs sourdough neapolitan is a gut friendly bread which can be eaten by people with gluten sensitivity or intolerance. It still cannot be eaten if you have a severe gluten allergy such as celiac disease. The reason it is gut healthy is from the wild yeast 4-year old mother dough created by Two Doughs. Their mother dough (sourdough starter) has millions of diverse wild yeast bacteria all working via fermentation to unlock the nutrients of the grain and break down carbohydrates and the protein gluten. 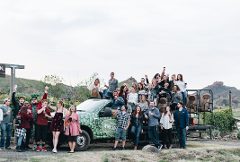 Join us on a truly unique experience: Malibu Wine Safari + Saddlerock Gardens Farm Dinner. Guests will tour the beautiful Saddlerock Ranch, meet exotic animals, taste delicious wines, and enjoy a delicious farm to table dinner. Malibu's hidden gem! 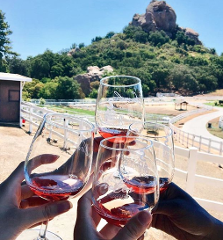 Tour the Vineyards at Saddlerock Ranch, feed exotic animals, wine taste and enjoy a delightful brunch spread paired with mimosas!